Kirkland Puppy Food Review – Is This a High-Quality Dog Food? There are many different factors that you must consider when picking the right type of food for your dog. Some of the more common examples include the overall nutritional quality, cost, used ingredients as well as the different types of available flavors and formulas. One brand to potentially consider is Kirkland puppy food. This article will explore several different aspects to help our Kirkland puppy food review determine if this product indeed a high-quality choice for your furry friend. In the end, we will offer our final thoughts on the product. We'll start off our our Kirkland puppy food review with some general details about this brand. Behind the Kirkland Signature concept stands Diamond Pet Foods. The company runs four different manufacturing centers across the United States. They have several different formulations available and use high-quality protein sources like chicken and salmon in many of their recipes. The average amount of food that is needed to feed a 20-30-pound adult dog is substantially less with Kirkland puppy food than most other bargain brands. With Kirkland, the amount needed is between 1 ⅓ and one ¼ cups per serving. Most other bargain brands use somewhere between 1 ½ and 2 ¼. If you are interested in trying this brand out for yourself, you should be aware that it is only available for purchase at Costco locations. You can use their Costco warehouse locator to find a location near you to pick up a bag today. One area where Kirkland Puppy Food shines the most is in its ingredients. Their formulas use many different high-quality ingredients that are sure to delight dog owners and their faithful companions. Depending on the formulation you select, the protein source will be chicken, lamb, salmon or beef. The protein source is always the main ingredient in all of their formulations. This is why it takes substantially less food per feeding for your dog compared to other brands that are available. As far as carbohydrate sources go, Kirkland's dog food usually uses whole grain brown rice in their recipes. However, you will also find other delicious carbohydrates like potatoes, oatmeal, and carbohydrates. Kirkland Puppy Food also incorporates probiotics into their products to help keep your dog’s digestion in top shape. In addition to probiotics, they also include many popular supplements like glucosamine to help your dog live a happy and productive life. Our Kirkland puppy food review found that the overall nutritional value of Kirkland dog food is superior to that of many other bargain brands. This is due to the higher-quality protein and carbohydrate choices that they use in their formulations. For instance, Kirkland’s Super Premium Adult Vegetable and Rice formula is roughly 373 calories per cup. Below are the nutritional facts for this particular formula. Vitamin E: 150 IU/kg min. Compared to other equivalent bargain brand formulas, Kirkland’s adult formulas have at least 2% more minimum crude protein and at least 4% more minimum crude fat content. It also includes all of the recommended essential vitamins and minerals to keep your dog happy and healthy. The overall superior nutritional quality of Kirkland Puppy Food definitely makes this brand stand out above the rest. As far as flavors go, has many different options available to suit even the pickiest dog’s palate. One of their most popular choices is their Chicken Rice & Vegetable formula. This recipe includes ingredients that are sure to delight dog owners and their canine companions alike. Some of the ingredients you will find in this particular recipe include chicken, brown rice, cracked barley, potatoes, flaxseed, cranberries, and even rosemary. Dog owners will be delighted seeing ingredients that they would enjoy eating themselves included in their dog’s food. In addition to their plethora of flavor choices, Kirkland also offers many different formulas to suit the needs of your dog. For instance, they have a popular weight management formula. 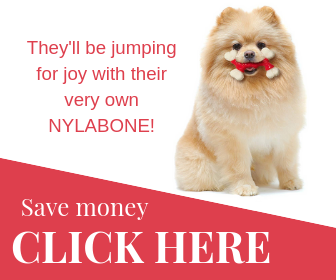 This is perfect for dogs that are prone to weight gain or that need to lose a few extra pounds. In addition to their weight loss formula, they also have recommended choices especially for puppies and senior animals. These recipes have their minimum protein and fat contents modified to better meet the special needs of these life stages. Overall, the Kirkland puppy food review discovered that there are many different positive things about Kirkland dog food. However, there are also some important negative parts to consider as well. This section is going to offer a listing of the most important positive and negative elements of Kirkland Puppy Food. High-quality protein sources like chicken, lamb, salmon, and beef. Probiotics are incorporated in all recipes for better digestion health. Full of essential vitamins and minerals. The amount of food required per feeding is substantially less. Several popular supplements like glucosamine are incorporated into all recipes. Grain-free varieties are available for dogs with sensitive stomachs. Only available for purchase at Costco. Slightly higher priced than some other pet food options. Many recipes use controversial ingredients like beet and brewer’s yeast. Overall, it is clear that our Kirkland Puppy Food review classified this choice as a great product that you should be proud to serve your canine friend. They use high-quality ingredients that are easy to recognize on their nutritional labels. They also include some great supplements like probiotics and glucosamine that can help further improve your dog’s well-being. The main drawback is that you can only find this brand in Costco stores. However, it is still worth swinging by your local warehouse to pick up a bag for your dog today. Feel free to tell us about your experience with this brand in the comments below.